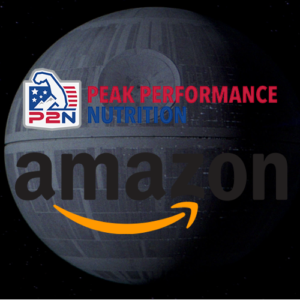 Amazon has launched its first private label brand in the sports nutrition supplement industry with P2N Peak Performance Nutrition. (We’re naming it “P2N by Amazon” in our system). Amazon finally has an exclusive private label supplement company, marking a serious existential threat for the entire industry. After Amazon pulled a massive alpha move by taking the 2015 Olympia sponsorship from Bodybuilding.com (and then not even bothering to show up to their booth), it was only a matter of time before the behemoth took its turn with its own supplement company. However, it didn’t happen as quickly as we expected, and they instead started with a few single-ingredient products under the Amazon Elements brand. 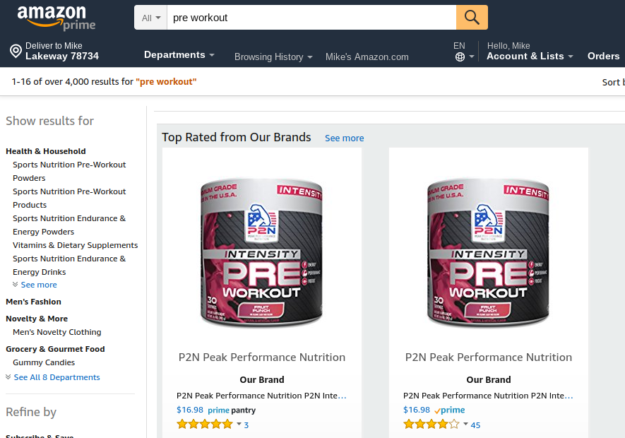 Now in 2018, it’s finally here: Amazon’s own sports nutrition brand. A hat tip to industry consultant Josh Schall, who noticed this and wrote a LinkedIn article on it on May 21, and was confirmed by Derek Prentice of Trident Brands Inc. Trident is allegedly the contract manufacturer for this brand, and they are a publicly-held company under the stock ticker $TDNT. The long story short is that these products are reminiscent of brands like Body Fortress and Six Star Pro Nutrition, which means they’re generally lower-cost “beginner supplements” with mostly proprietary blends and relatively safe yet unimpressive formulas. P2N has its own site, but it’s relatively bland and all of the labels can be found via Amazon. 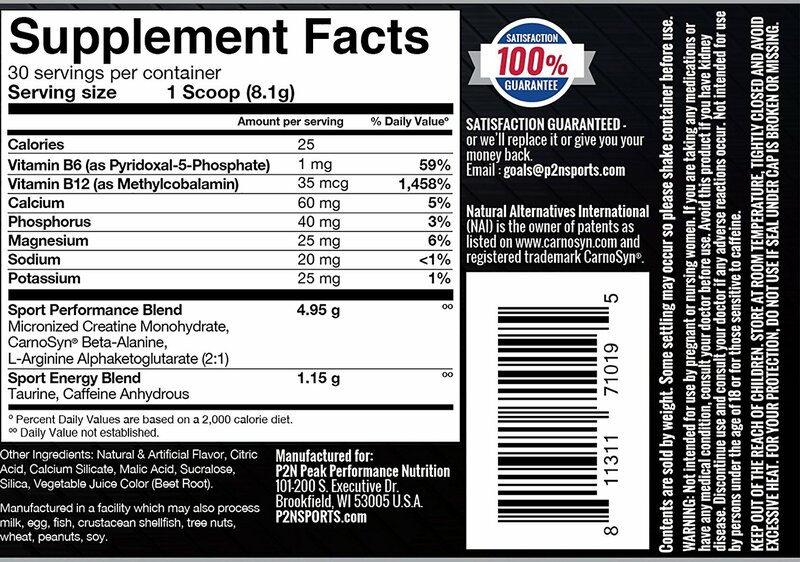 This is Amazon’s Pre Workout Ingredients Label, reminiscent of what you’d get from Six Star or Body Fortress. ie proprietary and unimpressive, but should hopefully provide enough creatine to provide actual benefits. It looks like Amazon’s P2N has the basics covered for general supplementation. A two-pound tub of the whey protein concentrate is about seventeen dollars for Prime members and a two-pound tub of the isolate protein is twenty-one dollars for Prime members, so this is a strong value play. LOL well at least thank you for telling us about your pixie dusting operation. Most brands just choose to hide this common practice in a prop blend. Don’t skim the label – see that the whey protein uses 0.02g of whey protein isolate, basically making this a pure whey concentrate product!! This is known as “pixie dusting” and it’s quite funny (yet appreciated) to see someone admitting to it like this. Could they have come up with a weirder number than 107mg of 3% yohimbe? This low-yield extract will likely stir up some negative reviews from the fraction of consumers who have no clue they’re sensitive to it. 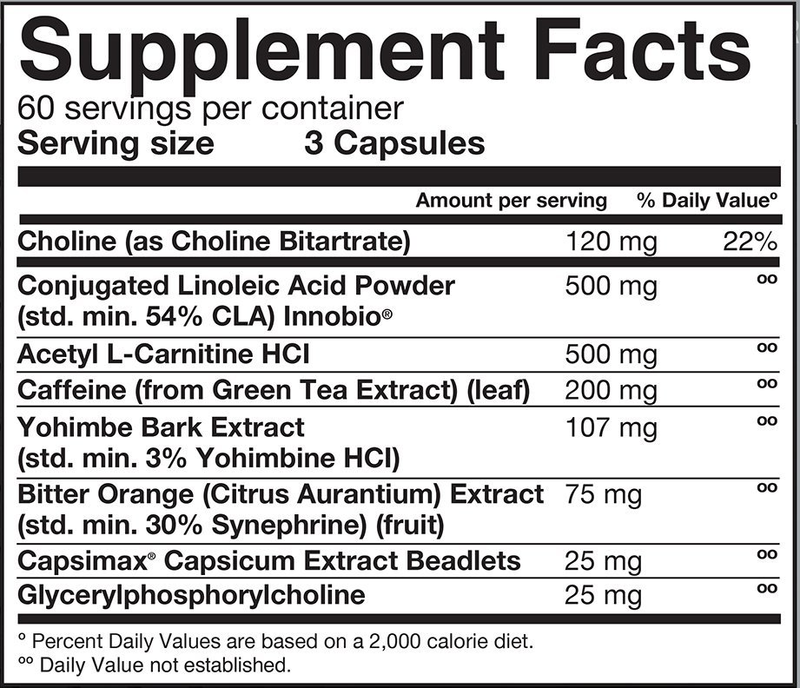 A mass-market fat burner with yohimbe? 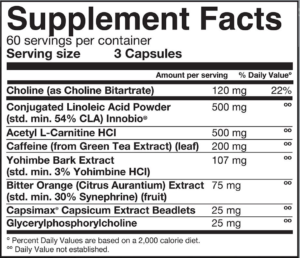 Meanwhile, it’s interesting that they’ve added yohimbe to their fat burner (their fat burner has a relatively ‘dirty’ at 3% yohimbe standardization from an odd 107mg dose which will yield 3.21mg yohimbine). While this is an ingredient we love, it’s enough to cause anxiety in enough of Amazon’s unexpecting mainstream consumers to lead us to wonder why they’re going in this route. We’re not complaining – it makes the formula better for most of us who know that we like the ingredient… but we can almost assure you that Amazon will take it out after they get enough complaints. Advertising above the fold: Damaging Partnerships like Cellucor / NutraBolt? As you can see, Amazon’s P2N brand states “Our Brand”, clearly signifying that it’s theirs, and it’s also 100% above the fold on this browser. This will assuredly negatively affect brands like Cellucor who previously had those top spots, and likely make millions of dollars selling their C4 pre workout. As a close partner to Amazon for years, we can’t imagine NutraBolt (the company that owns Cellucor) is happy with this, but the writing has also been on the wall for years. This is why brands are wise to focus on their direct-to-consumer model – where they control everything, and is further why it’s been theorized that Amazon will be buying Shopify (the #1 e-commerce platform for Direct-to-Consumer brands) as well. The use of Amazon has become so prominent for supplement shopping that other companies have inferred Amazon was to blame for having to close down. Not to be outdone, the demise of Bodybuilding.com can be attributed to Amazon’s presence in the supplement industry as well. Amazon isn’t hiding it either. As shown above, the new company and product is featured as “Our Brand” — and there’s no chance in hell they would stick their neck out for someone they didn’t own. This is the type of full disclosure practice that we may see from other “house brands”, as the Federal Trade Commission wants consumers to understand when there are potential business conflicts. Amazon made a statement three years ago by sponsoring the Mr. Olympia competition and showing up with nothing but a phone charger. It put companies on notice that the mega-store was set to break into the industry and make some waves. At first glance, these products do not appear to be a major threat to well-informed and educated supplement consumers, but at the end of the day, it will mean less business for industry-friendly brands, employees, and athletes – the people we care about. But for the general population who “just want some protein,” this new line is a serious threat to all other brands and stores, starting with other “starter brands” like Six Star, Body Fortress, and Cellucor. For the price, delivery and convenience, Amazon has a huge advantage on people who are bargain hunting for the most affordable supplements. It will be interesting to see how this unfolds over the coming years, because we doubt they’re just going to stop with “starter brand” style products. Who are they coming after next? 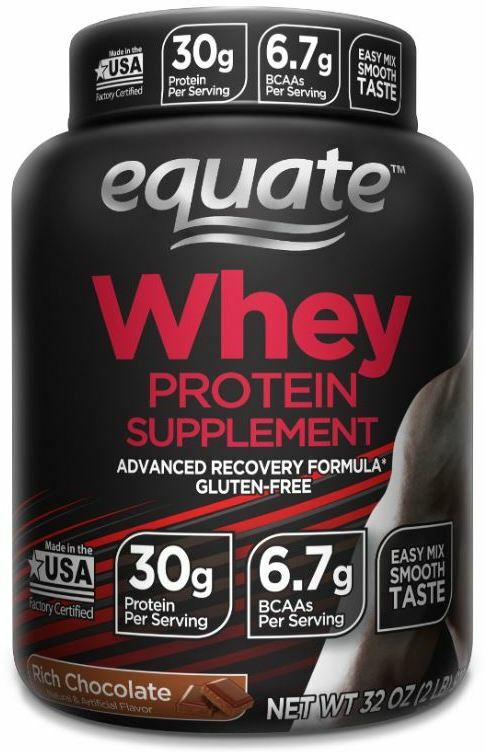 Compare to Equate Whey Protein! Update: This section was added a couple hours after publishing the original article. We did some data-mining in the PricePlow system and noticed that Amazon’s P2N Whey Protein has the exact same macros and “nitrogen augmentation” as does another brand: Equate Whey Protein! This leads us to ask, what in the world is going on here? Does Trident own this brand? Does Amazon?! Even crazier, the prices of Walmart’s Equate and Amazon’s Prime Pantry whey listing (not the one linked above) are within pennies of each other. Competition… or collusion?! Meanwhile, there is some debate as to whether Amazon truly “owns” P2N. But until further notice, if Amazon is saying “Our Brand” in bold, then we are reporting it as such. 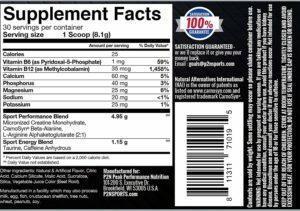 Comments | Posted in Supplement Industry News, Supplement News | Tagged Amazon.com, BCAA, Body Fortress, Bodybuilding.com, Cellucor, Equate, Fat Burners, Josh Schall, Mr. Olympia, Nutrabolt, Post Workout Supplements, Pre Workout, Six Star Nutrition, Whey Protein Concentrate, Whey Protein Isolate.